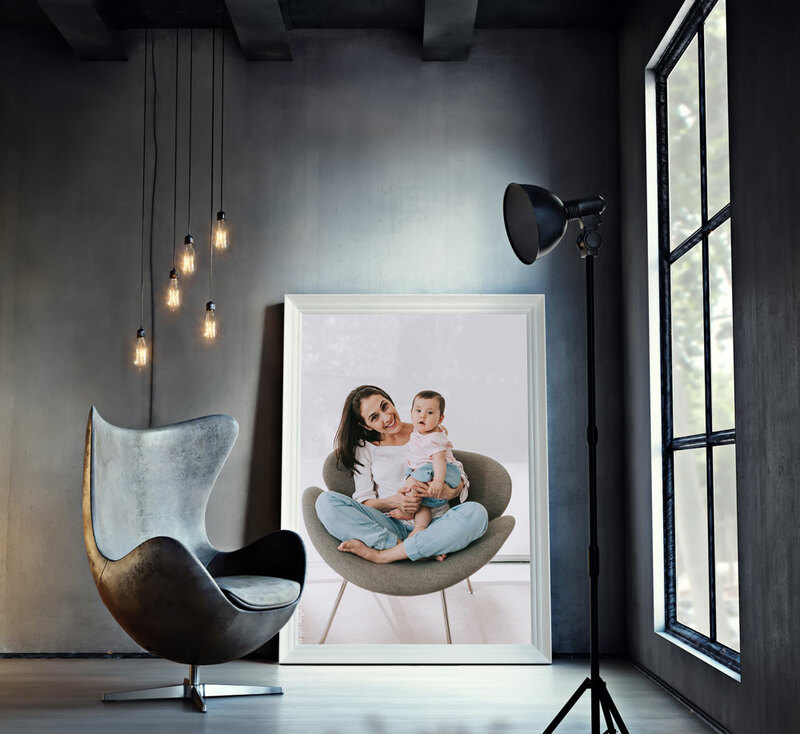 You've had your photo session, you have received your gorgeous photos, shared them on social media and now it's time to work out the best way to display your family portraits in your home. Personal touches are what makes a house a home, and nothing does that quite as well as family photos. There are so many options available today, so here are some creative ideas for decorating with your family portraits. Wall groupings behind the sofa may the traditional way to display your family photos but that doesn't mean that it has to be boring. In living room artwork should be hung lower as people are usually sitting down. A good way to ensure you're placing artwork at the right height is to hang it one hand width above the sofa. Who doesn't love a photo album? Yes, it might not be a 'display' but it can become a feature on your coffee or side table. Family and friends will enjoy flicking through it when they pop over and so will your kids. Many of my clients have told me that their children love to sit and look at themselves in their newborn album and they can't believe they were ever that small. Albums printed on archival paper will last for years and will not fade so you can be sure that it will be passed down toe generations. Everyday moments are just as important to display and keep safe. Have you ever thought about how you would display your Instagram photos so that they are not only on your phone? Instagram frames are a perfect way to mark those important moments up on your wall for everyone to enjoy for ever. 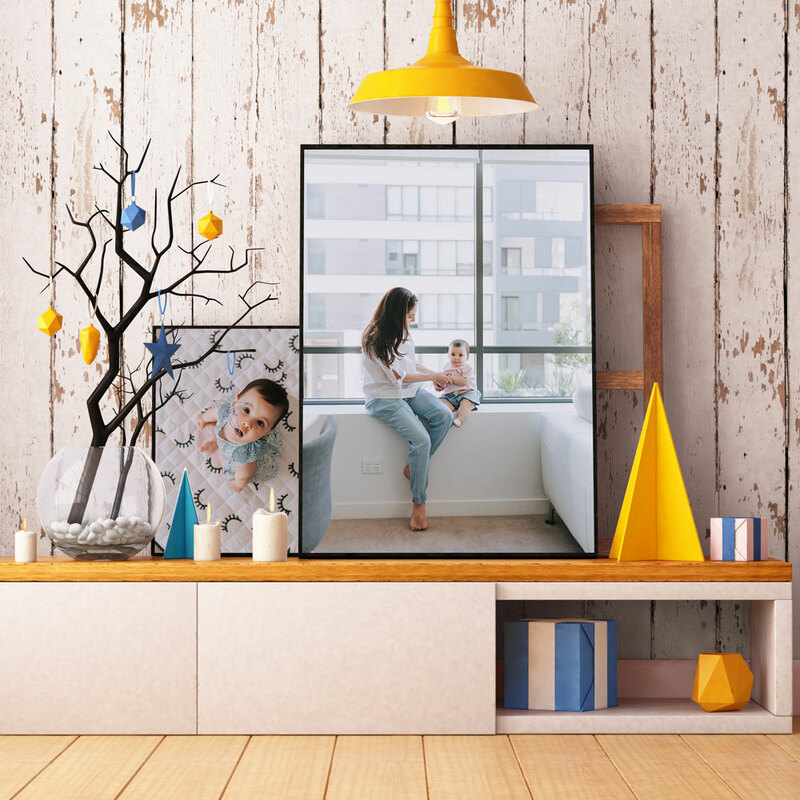 You can create your own display using small square frames such as in the photo below or there are some photo labs such as Atkins Photo Lab that sells Instagram frame packages, that includes a frame and print to start you off. A newish trend is to use a picture ledge to display your frames on. You can purchase ledges from Ikea or you can make your own using wood. Picture ledges are versatile because they allow you to quickly and easily swap art in and out on a whim. They are also great for displaying treasured memories with your photos. Add vases of flowers, keepsakes and add in some inspirational quotes for a very modern look. I hope that you enjoyed theses creative ideas for decorating with your family portraits. If you have any new ideas or any comments please leave them below, I'd love to hear from you. While you are here, why not have a read of this blog post about clothing tips for maternity shoots.